HoneyLove, a nonprofit organization that protects the honey bees by educating our communities and inspiring new urban beekeepers, is hosting an event to help people build their own bee box, Sunday, April 30, 2017 from 9 a.m. to 1 p.m. at Dunn-Edwards Paints in Culver City. Colorful, zero-VOC paints will be provided by Dunn-Edwards for people to decorate their bee boxes and they will award prizes for the most creative boxes and paint samples to take home. 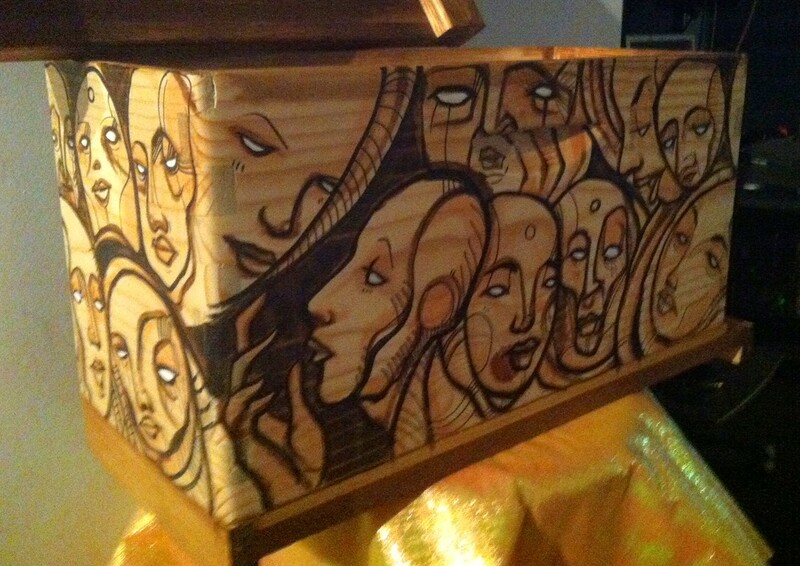 Renowned street mural artist Clinton Bopp (who often incorporates bees into his designs) will be on hand to help people draw and paint their boxes. HoneyLove’s Bee Team will provide all the materials for the bee boxes, plus fun activities for kids, bee costumes and information about backyard beekeeping. Conrad Burton, head apiary inspector for LA County, will provide tips about how to register and keep a bee hive legally in one’s own backyard. Some inspiration for painting a bee box. Spring is a vulnerable time in the life of honey bees. The bees leaving the hive to create a new home are provisioned only with the nectar or honey they carry in their stomachs. A swarm will starve if it does not quickly find a home and more nectar stores. “If you see a big cluster of bees on a tree or roof eave, consider yourself lucky,” said Paul Hekimian, director of the Los Angeles-based HoneyLove. “The bees have chosen you for their spring shelter and you have an opportunity to save them. For more information about the event and what you can do to help save bees or become an urban beekeeper yourself, visit www.honeylove.org. Join us to build and paint a bee box!